Tariq Ali , The Duel: Pakistan on the Flight Path of American Power. DIESEL, A Bookstore and KPFA are pleased to present BBC television and radio broadcaster, frequent contributor to The Nation, The Guardian, and The London Review of Books, historian, film-maker, and author Tariq Ali as he discusses the topics of his newest book, The Duel:Pakistan on the Flight Path of American Power. ~ Tickets are $12 when purchased online at www.kpfa.org or $15 at the door. ~ For more information, please contact KPFA directly at (510) 848-6767 ext. 611. Tariq Ali discusses The Duel: Pakistan on the Flight Path of American Power . Tariq Ali discusses The Duel - Pakistan on the Flight Path of American Power. 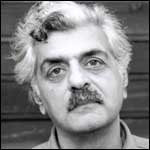 Tariq Ali is currently considered a "single author." If one or more works are by a distinct, homonymous authors, go ahead and split the author. Tariq Ali is composed of 12 names. You can examine and separate out names.